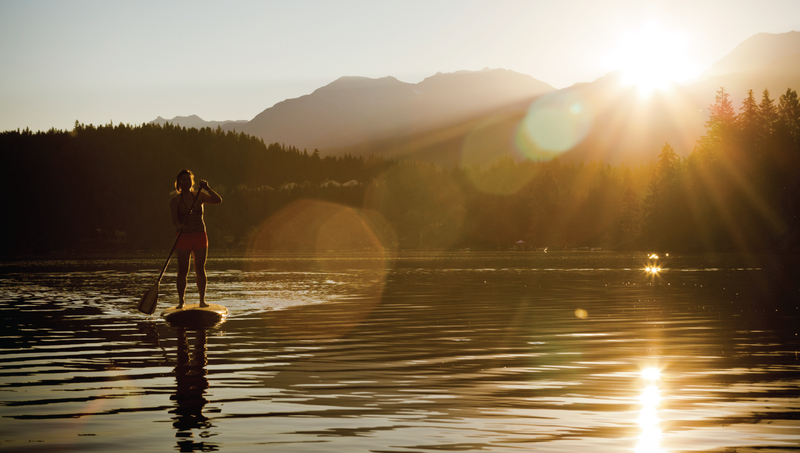 The sport of Paddle Boarding has been the fastest growing sport in the United States over the past 5 years. Disc Golf is the only sport that even rivals its speed of growth. With so many options in Colorado to take your Paddle Board, we thought we should assemble our top paddle boarding locations by category. Best Family Friendly Paddle Boarding: Avon’s Nottingham Lake. Open only to Paddle Boards and Paddle Boats, the entire lake acts as a no wake zone making this small lake the ideal setting to not only learn how to Paddle Board but to also take the kids out on the water. With a max depth of 15 feet, the water temperature is slightly warmer than most bodies of water in the high country. Nottingham Lake is also surrounded by a massive park that offers swim beaches, beach volleyball courts, outdoor grilling areas, and a brand new amphitheater. There is free parking around the lake and you can visit our map to learn where to go. 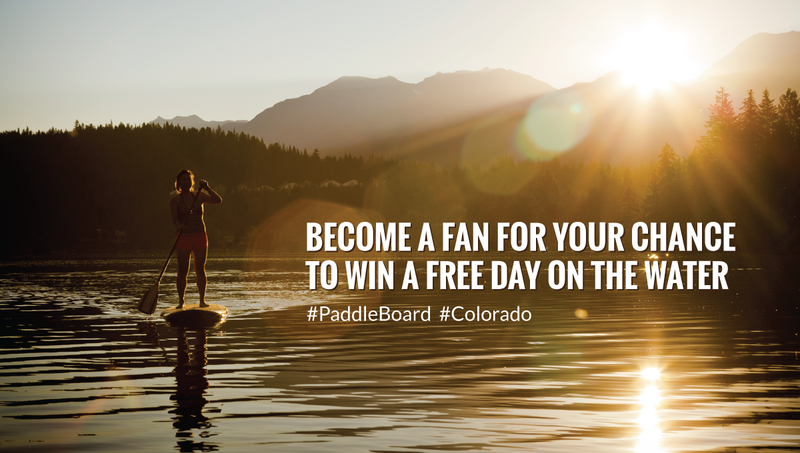 Best River Paddle Boarding: Upper Colorado River – Rancho del Rio to State Bridge. Yes. This section of river is becoming grossly overused by the many fisherman, tour operators, and influx of river enthusiast but the Rancho to State Bridge stretch is still the best run for Paddle Boards looking to get out on a river. The only rapids are easy-to-navigate Class l’s with a few, more challenging Class ll’s at high water. The put ins and take outs are easy to manage and the entire trip is about four miles. This stretch of river offers great scenery and is also a favorite among locals for wildlife viewing – Bald Eagles are a common site on this section of river. There is free parking available at Rancho but there is a small fee to pay for parking at the take out at State Bridge. Both Rancho and State Bridge offer concession food options and on weekends, State Bridge is a happening place with live concerts at their outdoor concert venue. Best Advanced Open Water Paddle Boarding: Lake Dillon / Dillon Reservoir. With massive views of the Ptarmigan Range, Ten Mile Range, and two of Colorado’s most iconic 14er’s – Grays and Torreys, you really can’t beat a day out on Dillon Reservoir. The reservoir is one of the larger bodies of water in the state of Colorado and as such, you are best advised to plan your route before heading out. On our map page, we have detailed the preferred route to take set forth by the Frisco Marina. Beginning at the Frisco Marina, you work your way along the shoreline and around the many islands that act as a protective barrier to the waves and powerboats out in the channel. This body of water is almost always cold which is why we don’t recommend it as a family paddle boarding option and it is also prone to high winds which can make your return trip very difficult. Lake Dillon is best used in the early mornings as the winds tend to pick up around 11 a.m. The Frisco Marina offers free parking along with a launching point specifically for paddle boards and kayaks. The Marina tiki bar is a great spot for lunch or end of day cocktails.